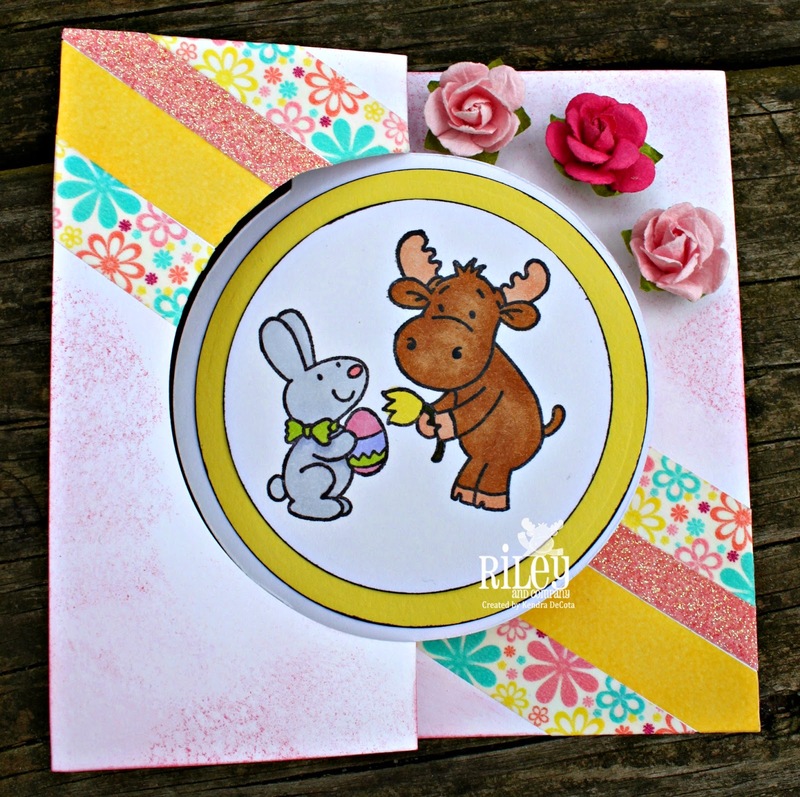 Crafts and Cravings: April Showers bring May Flowers! 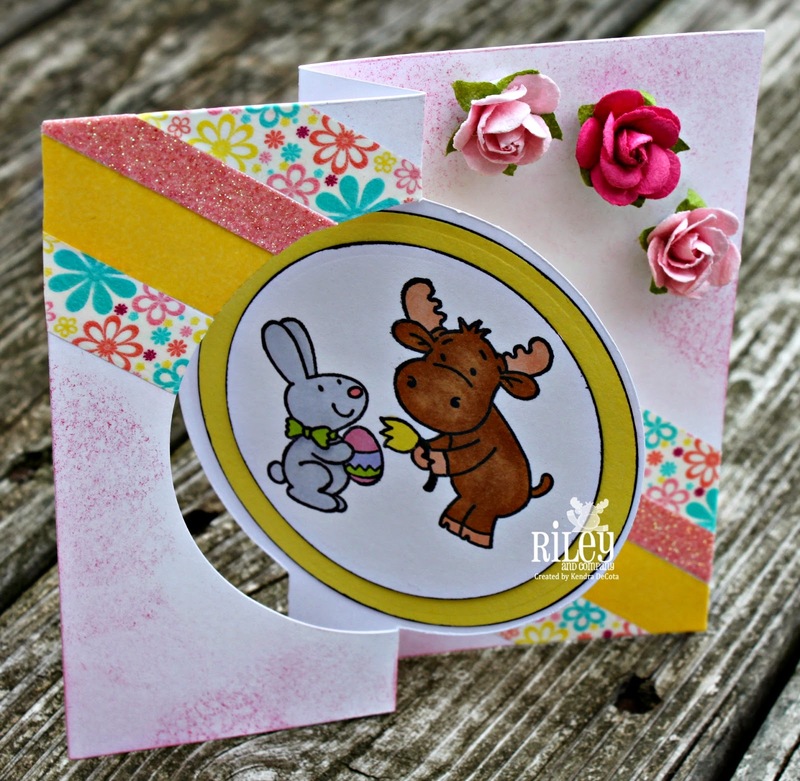 The challenge on the Riley and Company blog today is: April Showers bring May Flowers! So use anything on your card or project having to do with rain, flowers, umbrellas, etc. This challenge was given to us by Kelly! 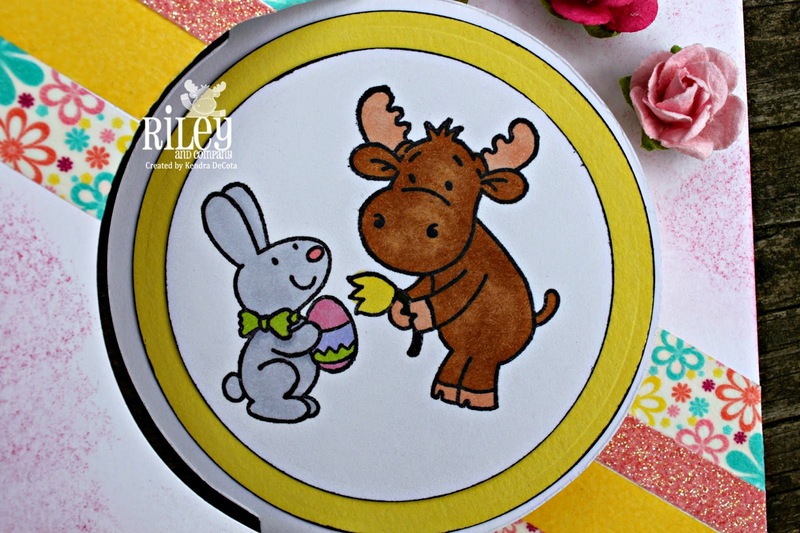 The image I used is called Chocolate Bunny and Riley. You can find it HERE at the Riley and Company Store. I have jazzed up the white card base with some washi tape and some red sponging. 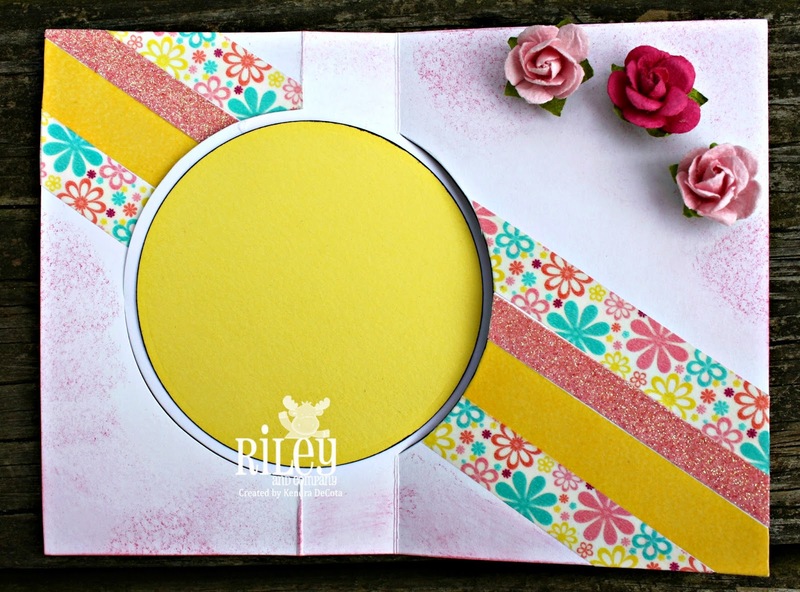 I have left the back of the flip card blank so that it can be personalized later.